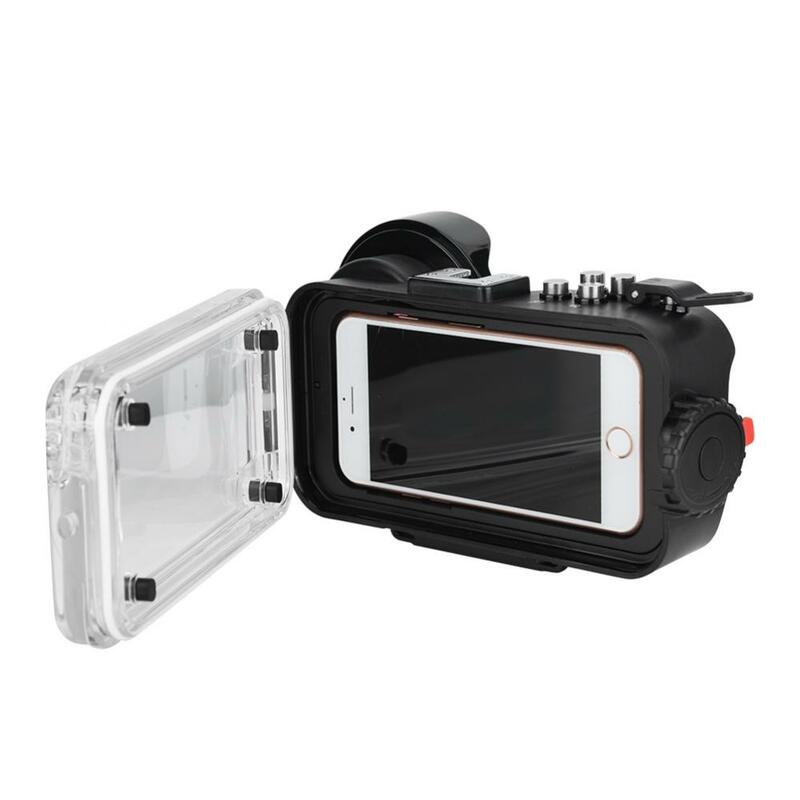 This underwater diving case is suitable for iPhone 6/7/8 X, which allows you to take photos and record videos with the original camera of phone after pairing with it through Bluetooth in the depth of 66yd underwater. 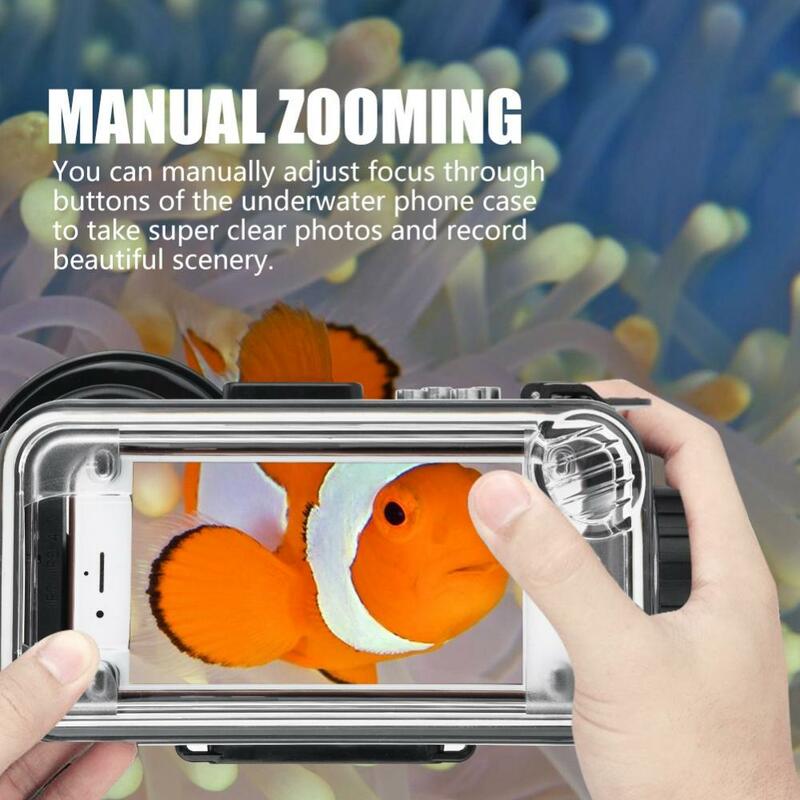 Manual focusing buttons help you adjust the lens to take super clear photos to record the beautiful scenery under the sea. 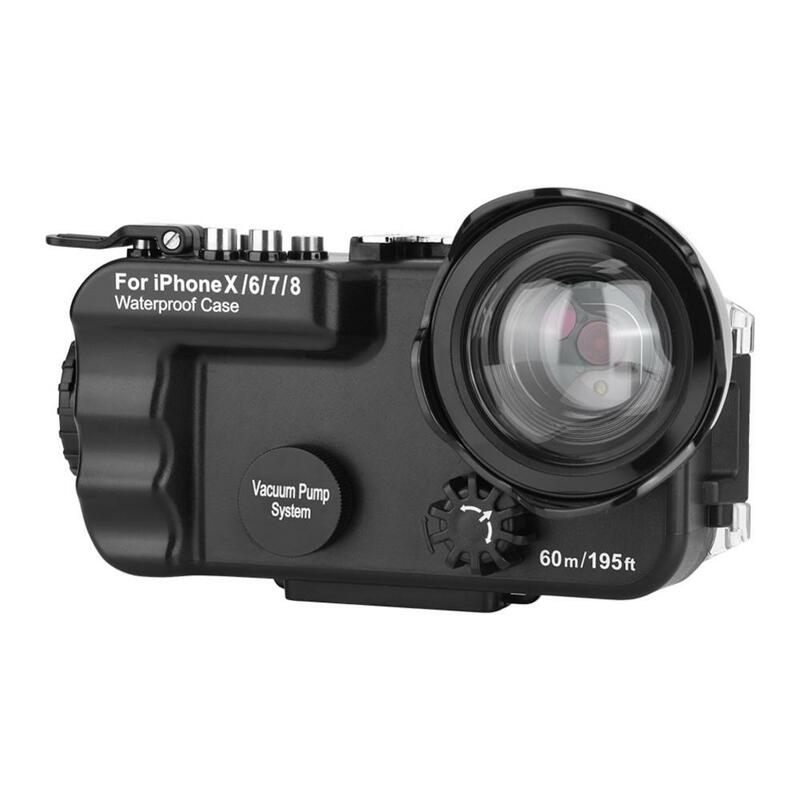 Furthermore, multiple water proofing measures prevent water from entering into your phone. 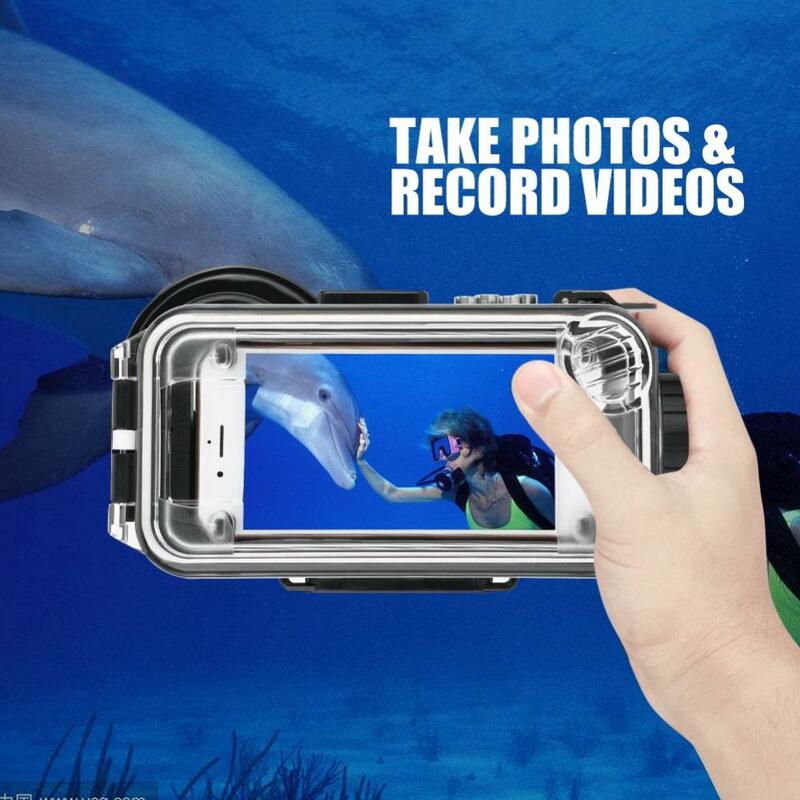 66yd Water Resistance – This underwater diving case makes your phone waterproof even in the depth of 66yd underwater. 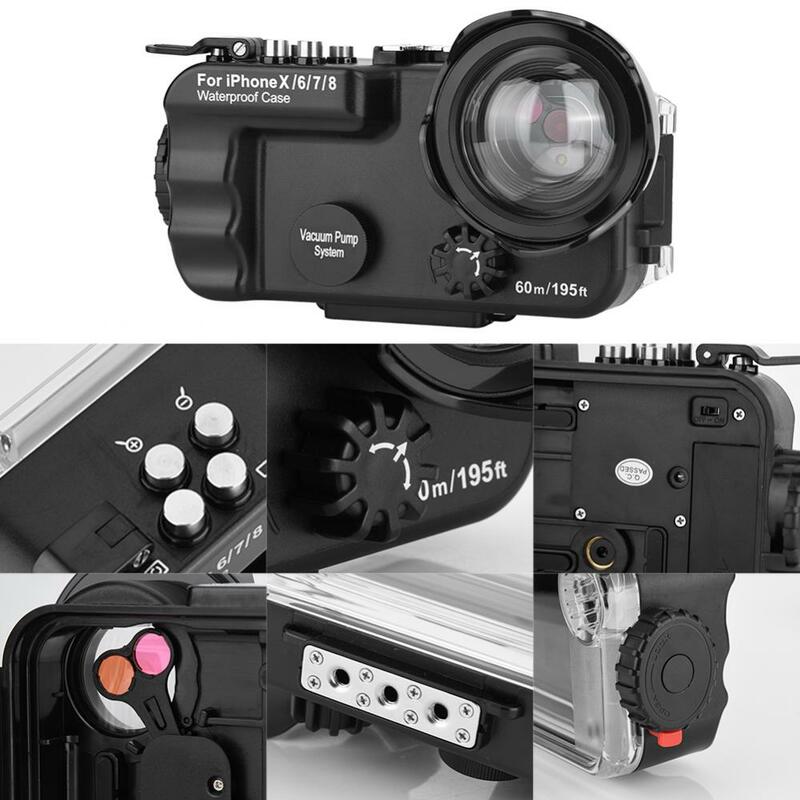 Take Photos & Record Videos – After pairing your phone with it through Bluetooth, you can control your phone to take photos and record videos by operating it. 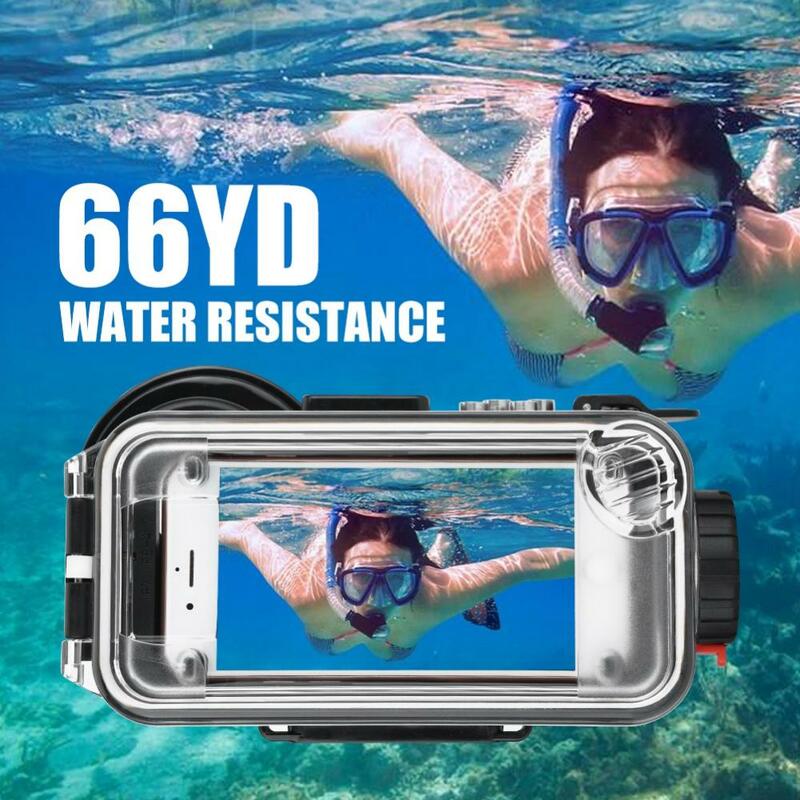 Manual Zooming – You can manually adjust focus through buttons of the underwater phone case to take super clear photos and record beautiful scenery. 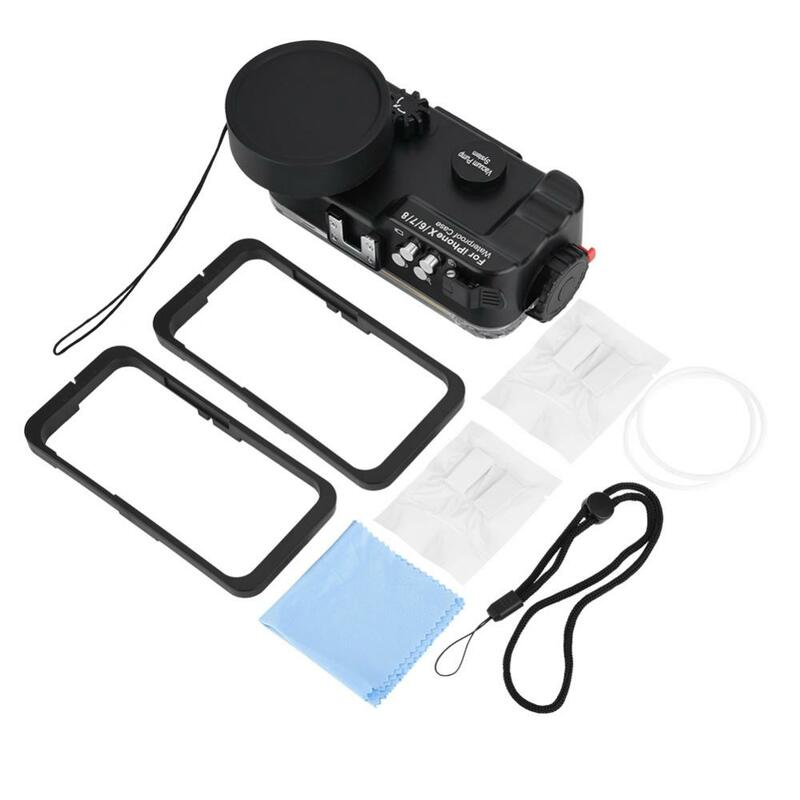 No Water in – There will be no water entering into the diving phone housing due to its multiple water proofing measures like O-ring. 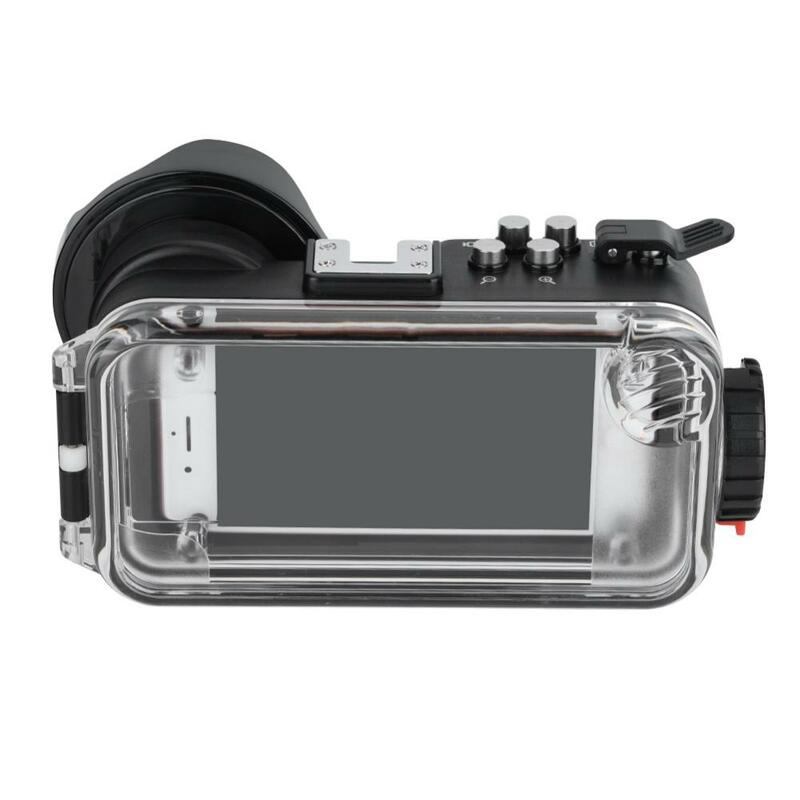 Wide Compatibility – It is widely suitable for both diving, surfing, snorkeling, skiing, yachting and other underwater activities, and rainy and snowy days. 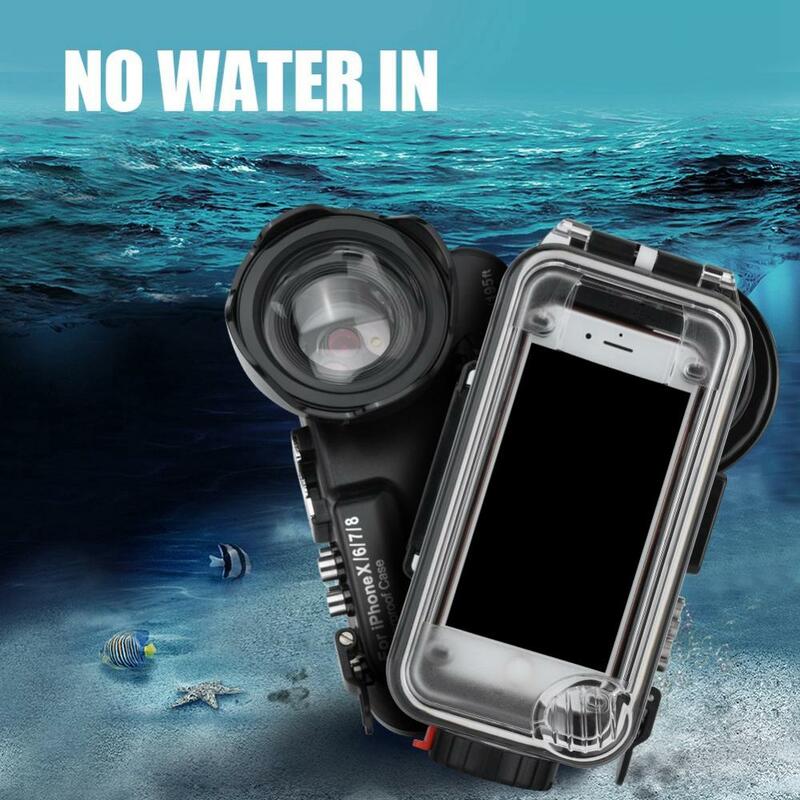 Applicable places: For for both diving, surfing, snorkeling, skiing, yachting and other underwater activities, and rainy and snowy days.